Recently, a doctor nearing retirement age approached me with the question of how to maximize his social security income. He is 62, and his wife is 4 years his junior. He made substantially more money than his wife, and as a result, his PIA is $2400, and his wife’s PIA is only $1000. PIA, or primary insured amount, is the monthly amount a retiree would get if he or she retires at the normal retirement age, currently 66. For every year earlier (or later) that one retires, one would get 8% less (or more). The youngest one may retire is 62 and the oldest is 70. 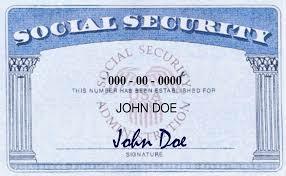 I’ve found over the years that many people give very little thought to maximizing their social security income, and they jump at the first opportunity when they turn 62 to claim their benefits. But in so doing, they could be leaving nearly half a million dollars on the table. Take John and Jane Doe for example. These are the names I’ve given the good doctor and his wife to hide their identities. They have three garden variety strategies and one optimal strategy for claiming social security income. Early: they both begin claiming benefits when they turn 62. If John passes away, Jane switches to survival benefits. Normal; they both begin claiming benefits when they turn 66. If John passes away, Jane switches to survival benefits. Delayed: they both begin claiming benefits when they turn 70. If John passes away, Jane switches to survival benefits. Optimal: John files for spousal benefit at 66; Jane begins benefit based on her own earning record at 62; John switches to his own benefits at 70; Jane adds spousal benefits at 66. If John passes away, Jane switches to survival benefits. Let’s say John and Jane’s normal life expectancies are 85 and 90; short life expectancies are 75 and 80 and long life expectancies are 95 and 100. The table below shows how much they would get from social security under the four strategies and the three life expectancy scenarios. So you see, regardless of whether John and Jane live a long or a short life, the optimal strategy does better! If John and Jane live a long life, it’s $410k better! What’s your optimal strategy? Schedule a discovery meeting with me to find out. 1 Response to "Maximizing Your Social Security Income"
Reblogged this on Curated News, Essays, Information and Opinions for Savvy Doctors … and Informed Advisors.